Provided photo The final concert of the Rock Piqua! Riverfront Concert Series on Aug. 18, will feature self-proclaimed “greatest throwback party band ever” Zack Attack! as the opener. Provided photo The Classic Rock Experience, headliners for the final Rock Piqua! concert on Aug. 18, pays homage to such arena-rock greats as Queen, Pink Floyd, Led Zeppelin, Styx, Boston, Deep Purple, Journey, and Grand Funk Railroad, among others. PIQUA — Following a kickoff concert dedicated to oldies music and a sophomore event devoted to country, the final event of the Rock Piqua! Riverfront Concert Series on Aug. 18 will bring music lovers a double dose of tunes from the ’70s to current hits. Dayton party band Zack Attack! 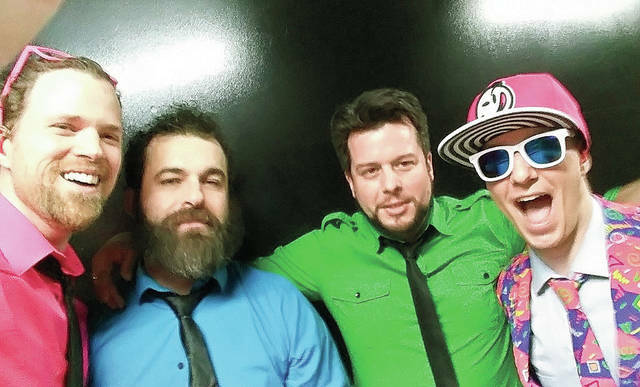 will take the stage in Lock Nine Park at 7 p.m. bringing the energy and hits from the ‘80’s to today, followed by headliner The Classic Rock Experience, who will bring their headbanging, Fender-shredding sound to town at 9 p.m.
Made up of Zack Fresh, Zack-a-delic, Zack-a-licious and Zacky Zack, Zack Attack! will keep you dancing all night long to hits by artists like Green Day, Michael Jackson, N’Sync and others. 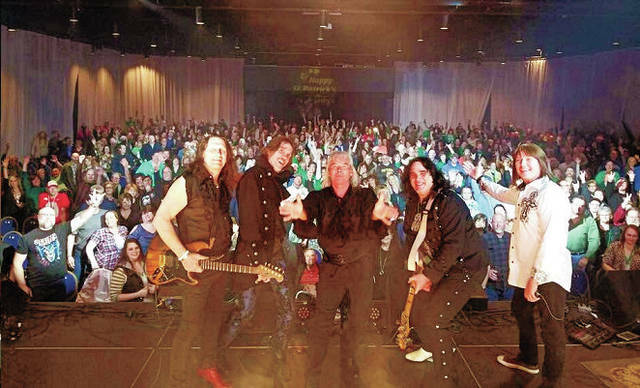 Arena rockers The Classic Rock Experience, a ’70s tribute band from the Cincinnati area will take the audience back int time with the music of Led Zeppelin, Pink Floyd, Journey, Styx and more as they rock the night away. The band originally formed in 1976 as Midnight Special, and toured the country opening for national touring acts and playing fairs and festivals until 1983. Rock Piqua!, which is free and open to all ages, is sponsored in part by Headlining Sponsors, Polysource, City of Piqua, Francis Cricket Wireless, Vectren, Emerson Climate Technologies, Kettering Health Network & French Oil Fund of the Piqua Community Foundation. The concert series is entirely funded through the support of its sponsors, beverage sales and freewill donations from the community at the events. Because of this, no outside food or beverages are permitted at the events. https://www.dailycall.com/wp-content/uploads/sites/30/2018/08/web1_zackattack_cmyk.jpgProvided photo The final concert of the Rock Piqua! Riverfront Concert Series on Aug. 18, will feature self-proclaimed “greatest throwback party band ever” Zack Attack! as the opener. https://www.dailycall.com/wp-content/uploads/sites/30/2018/08/web1_CRE_cmyk.jpgProvided photo The Classic Rock Experience, headliners for the final Rock Piqua! concert on Aug. 18, pays homage to such arena-rock greats as Queen, Pink Floyd, Led Zeppelin, Styx, Boston, Deep Purple, Journey, and Grand Funk Railroad, among others.